Pastore’s, Inc. is a Baltimore based Italian wholesale distributor. Founded in 1898, the company is a family owned and operated business that is now into its fifth generation. Pastore’s distributes in the Maryland, Virginia, Pennsylvania, Delaware, & Washington DC markets. We carry a full line of refrigerated, frozen, and dry items that are supplied to supermarkets, gourmet stores, deli’s, & restaurants. 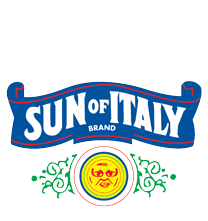 Known primarily for its Sun of Italy line of Italian food products, Pastore’s also offers many other quality brands to its customers. Extraordinary customer service has always been our hallmark. We're always there for our customers, person-to-person. it has been the tradition of the Pastore family to make available to the public only the very finest quality Italian food products.